When Do You Need New Windows? | Homecraft Inc. If you shiver all winter and swelter all summer in a home that is not energy efficient, your first step should be to replace your old, drafty windows with Homecraft® ’s energy efficient replacement windows, Wilmington. 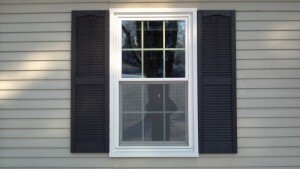 Our high quality Tri-State replacement windows will provide more comfort and value for your home. Here are nine reasons why you should call Homecraft® today for new replacement windows Delaware, Pennsylvania, New Jersey and Maryland homeowners can count on for quality and dependability. Strong Warranty – Our windows are warrantied against manufacturers defects, installation problems – even glass breakage! Don’t go another season with your tired old windows. Contact Homecraft® today for a free estimate on replacement windows Wilmington and other Tri-State homeowners will enjoy for their beauty, energy savings and lasting value. Don’t trust anyone less than the top-rated experts for your replacement windows Wilmington! Call Homecraft®, Inc. today at 1-877-494-0377 to schedule a FREE in-home consultation and estimate for your windows Tri-State project.